(91outcomes.com) - This year's grassroots effort led by ill Gulf War veterans and their advocates to secure cosigners for the treatment-focused Gulf War Illness Congressionally Directed Medical Research Program (CDMRP) concluded today with record Congressional support. Led by Rep. Mike Michaud (D-ME) and Rep. Phil Roe, M.D. (R-TN), this year's effort concluded with 66 cosigners, the most significant level of Congressional support in the short history of the program. Among the bipartisan list of cosigners were many of the leaders and members of the House Veterans' Affairs Committee (HVAC), including Chairman Rep. Jeff Miller (R-FL) and Ranking Member Rep. Mike Michaud (D-ME), Subcommittee on Oversight and Investigations (HVAC-O&I) Chair Rep. Mike Coffman (R-CO) and Ranking Member Rep. Ann Kirkpatrick (D-AZ), and Subcommittee on Economic Opportunity (HVAC-EO) Ranking Member Rep. Mark Takano (D-CA). Led by Coffman, HVAC's Oversight and Investigations Committee recently held an investigative hearing that was sharply critical of VA's handling of Gulf War Illness research and failure to develop a single proven effective treatment more than 22 years after the war. Below is the final list of all 66 Congressmen and Congresswomen who signed signed on to this year's FY14 Roe-Michaud “Dear Colleague” to provide adequate funding for the treatment-focused Gulf War Illness CDMRP (Congressionally Directed Medical Research Program). The deadline for House Members to sign on was today, April 12, 2013. A similar effort in the Senate is expected in late Spring or possibly early Summer. 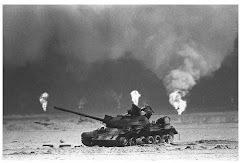 "One of the earliest successes of the GWI CDMRP is the discovery that a particular anti-oxidant can help reduce some Gulf War Illness symptoms. Another, studying the sarin nerve agent to which hundreds of thousands of Gulf War troops were exposed, may have important implications for future military or civilian populations in a homeland security situation since the research findings suggest low-dose, non-symptomatic exposure to sarin may result in long-lasting cardiac and neurological dysfunction. Another is that chronic inflammation may underlie many Gulf War Illness symptoms, and if so, effective treatments may already exist. 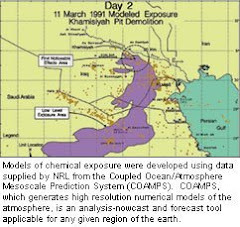 Still another is taking an animal model of Gulf War Illness chemical exposures, which has effectively reproduced GWI symptoms, and testing an already available drug to treat pain and memory deficits common in GWI. "It is also clear that many researchers are making great strides towards unraveling and treating Gulf War Illness without the need to know the specific substance(s) of causation. Unraveling the specifics of what is happening now in the brains and bodies of ill Gulf War veterans appears to be at least as relevant to the identification and development of effective treatments. "The 2010 IOM committee wrote that effective treatments for Gulf War Illness can likely be found and suggested a path forward, “to speed the development of effective treatments, cures, and, it is hoped, preventions.” To date, only the Gulf War Illness CDMRP has been fully engaged in this effort, though still inadequately funded. Most importantly, these CDMRP efforts are producing real results. "Meanwhile, VA staff have wasted more precious years, squandered myriad experts’ time, energy, and hard work, and further alienated not just their most engaged advisors but also the very Gulf War veterans they are supposed to be helping. And though VA research staff have told us they are now funding treatment studies, the RAC on which I serve has not been provided specific information on these new efforts." A pre-announcement of available funding for additional treatment-focused Gulf War Illness medical research was published by CDMRP earlier this week. For this year, the program was funded at $20 million (FY13), though a substantial portion is expected to be lost due to Sequestration. Final update: Friday, April 12, 2013 @6:10 p.m. EST.